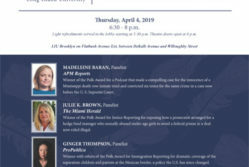 Please join the Harriman Institute and the Columbia Journalism School for a panel discussion featuring the 2015 Paul Klebnikov Russian Civil Society Fellow, Maria Turchenkova, a freelance journalist. 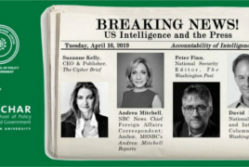 Moderated by Ann Cooper, CBS Professor of Professional Practice in International Journalism, Columbia Graduate School of Journalism. This event is part of the Klebnikov Russia Program at Harriman Institute. For further information regarding this event, please contact Ilke Denizli by sending an email to zid2000@columbia.edu .